Oscar snubs are pretty much a given. When the Academy made the number of Best Picture nominees variable, it virtually guaranteed them in the Best Director category, and it’s no secret that I think both Ben Affleck and Kathryn Bigelow deserved nods this year. Still, If you haven’t seen Richard Linklater’s Bernie, you probably had to read the title of this post a couple times. 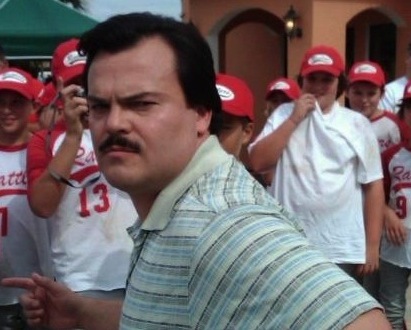 But yes, I do believe Jack Black deserved a Best Actor nomination for his performance in the title role. The film is a genre-defying mix of reality and fiction based on the true story of Bernie Tiede. It blends documentary style interviews, scenes with only actors, and scenes where actors play off real townsfolk playing themselves. Tiede befriended and eventually murdered an elderly woman, Marjorie Nugent (Shirley MacLaine), in Carthage, Texas in the mid-1990s. The character Bernie is unlike any other I’ve seen Black play. To be fair, I’d only seen him in The Holiday, Be Kind Rewind and Year One, in which his characters were all sort of similar, funny, a bit wild, sometimes manic, and seemingly based on himself. Bernie Tiede is a complete departure. He’s a popular small-town funeral director who favors gospel music, community theater, and the company of women 20 years older than himself. Black becomes Bernie, but his performance isn’t just an imitation of mannerisms and speech. The actor invests the character with enough heart so that, murderer or not, he’s likable. We can relate to Bernie and his apparently innocent desire to help improve the lives of the town’s residents. So why wasn’t Black nominated for an Oscar, despite receiving Golden Globe and Independent Spirit nominations? Part of it is that the Golden Globes have separate comedy/musical categories for Best Picture, Actor and Actress, while comedies are notoriously unpopular with Academy voters. And, because the film didn’t receive a wide release, I think it’s a safe assumption that many Academy members, like many of the moviegoing public, completely missed it. Also, the story unfolds on such a small canvas that it reminded me of Jane Austen’s work, and her description of it as “the little bit (two inches wide) of ivory on which I work with so fine a brush.” Yet, also like Austen’s work, it manages to comment on class conflict, justice, and human nature. How easy for a film like this to get lost in the shuffle of special effects showcases and global-history dramas. Which is really a shame. When I say playing Bernie Tiede is a departure for Jack Black, I really mean it. 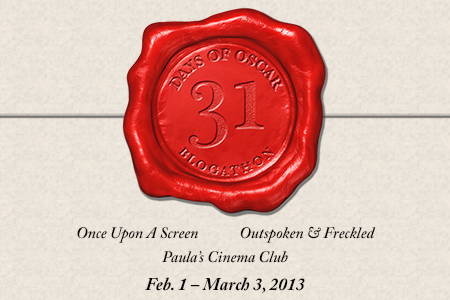 This post is part of the 31 Days of Oscar blogathon. Posted on 9 February 2013 15 January 2015 by PaulaPosted in FeaturesTagged 2010s, 31 Days of Oscar, blogathon, jack black, richard linklater. Great post, Paula. I am intrigued byt this and may actually watch it. I must admit, I am not a Jack Black fan. Ever since he literally BUTCHERED one of my favorite lines in all of film with his awful recantation of “it was beauty killed the beast” in his King Kong remake, I find him almost unbearable. Um…you could say I hold grudges in these instances. I know that’s going a bit overboard but I can’t help it. Awesome post, Paula! I agree that Affleck and Bigelow were snubbed. I just saw this film a couple of days ago and thought Jack Black was pretty good (also enjoyed the townspeople and Matthew McConaughey). I actually don’t mind Jack Black but I wasn’t initially interested in this one. I should give it a shot though as a lot of people seem to like it and you think his performance is Oscar worthy! I think you’ll enjoy it Ruth…it’s really a character study, which is so rare. Thanks Ruth! Great piece on this film, Paula. I really need to screen this. Bernie was one of my favorite 2012 movies – thank you for this, Paula! I’m sometimes a fan of Jack Black and almost always a fan of Richard Linklater so seeing this at the theater was a given. I was glad to see it works well – perhaps even better – on the small screen. BTW Terry Gross/Fresh Air on NPR had a fun interview with Jack Black about the making of the movie. The movie sounds fascinating and would have passed me by if not for you. SO happy to hear you say that. I just really wanted more people to see it 🙂 Thanks Paddy! This movie is a little gem. I saw it last spring and was impressed with the performances. Shirley McClain is incredible, Matthew McConaughey equally good. He lets the camera be completely unflattering to him. (how about those dork-a-rama glasses?) The townspeople narrating are delightful, and did you catch that one was McConaughey’s mom? The really sparkling performance was Black’s, however. I remember thinking that his performance was oscar worthy. Some people have commented that they usually don’t like Black. I have no opinion one way or another-not sure I’ve ever seen one of his other films, but I don’t think that we should not see a movie based on our opinion of one actor. Thanks for the heads up…I did NOT catch McConaughey’s mom! I’ll have to watch it again. No question, Black is the star, and yep, he deserved at least a nom, but MM really impressed me. Dork-a-rama for sure…no vanity there. I try not make my viewing decisions based on who’s in it, but I have done that at times. Timing was a problem for BERNIE, no doubt about it. I also think that Hollywood doesn’t really do a good job of promoting anything but the big tentpole blockbusters anymore. A smaller-scale character-driven piece gets lost, even with a name director like Linklater and a not-unknown cast. It’s sad, but only those on the coasts seemed to be aware of it. Thanks for stopping by, Aunt Leo! His mom has got to be the platinum blonde in the fuchsia jacket at the diner, when he’s sitting at the counter? That’s gotta be her.